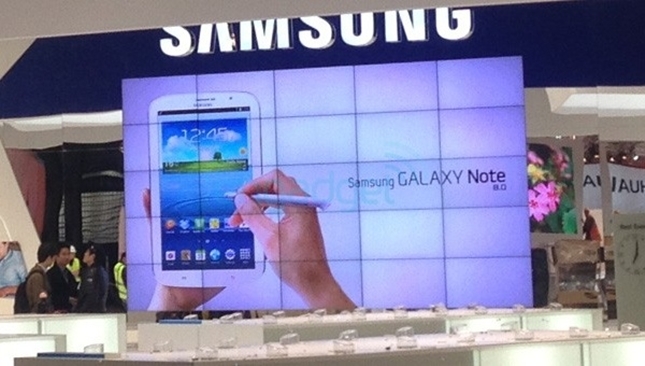 The Samsung Galaxy Note 8.0 tablet will very soon be landing in Canada through Best Buy on April 19th, according to Mobile Syrup. However, it is stated that the there will only be Limited Quantity Available from the retailer. Besides that, we also heard that the tablet will come at a price tag of $430, which is around $30 more than the price in the U.S. Although I have to admit that the Galaxy Note 8.0 is a little overpriced, but of course, it’ll be packed with some high-end specifications that we’ve been longing for : 8-inch display at a resolution of 1200 x 800, 1.6GHz quad-core Exynos CPU, 2GB RAM, 5 megapixels rear camera, 1.3 megapixels front camera, 32GB internal storage, 4,600 mAh battery, as well as Android 4.1.2 Jelly Bean. Let’s hope that we’ll hear more about the Samsung Galaxy 8.0 availability in Canada soon!